A passport issued by your country of citizenship that is valid for at least six months beyond your arrival date is necessary for entrance to Tanzania. You will also need a certificate of vaccination against yellow fever and most visitors from Europe and America will require a visa. In Tanzania, most foreign nationals require visas whether visiting for a holiday or to conduct business in Tanzania and Zanzibar. Visas can be obtained on entry at Kilimanjaro International Airport, Dar es Salaam International Airport and at the Namanga border crossing from Kenya. To obtain a visa stamp in your passport before arrival contact the nearest Tanzanian Embassy or High Commission in your home country. What is the best way to get to Tanzania? For safaris on the northern circuit it’s best to arrive at Kilimanjaro International Airport (JRO) located midway between the towns of Moshi and Arusha. Currently this airport is served daily from Europe by KLM and several times weekly by Ethiopian Airlines. KLM also routes via Nairobi (NBO), Kenya by partnering with Precision Air. Additional airlines such as British, Emirates and others fly into Dar es Salaam (DAR). Arriving via Dar may require an overnight stay and will require the additional expense of connecting with an internal Flight on a small regional airline with luggage restrictions. Arriving overland from Nairobi on one of the daily scheduled tourist class shuttles is possible and recommended only for seasoned travelers. You will need to make your own International airline bookings, as that is not part of our service. We can assist you with booking a road transfer should you decide to take that route. 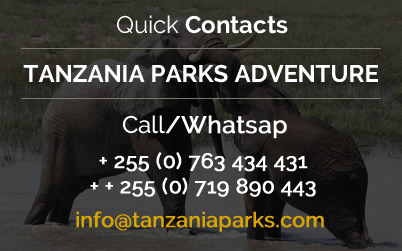 When you book a safari with Tanzania Parks Adventure we will collect you at your point of arrival in Arusha, northern Tanzania. 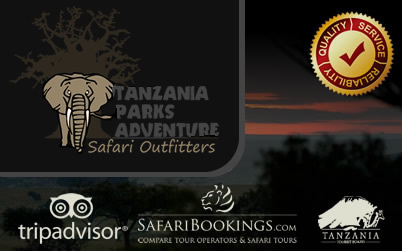 In most instances the guide who will be with you throughout your safari will meet you on arrival but sometimes you may be met by another representative from Tanzania Parks Adventure. When is the best season to go on a safari? There is really no winter or summer here as we are located so close to the equator. However we do have rainy seasons which make it harder to get around. The long rains come from around late March – May and short rains in November – early December. The hottest months are late December – March, and then also September – October. But you are always welcome! What type of clothing do I bring on an African Safari? A Safari in East Africa is a very informal vacation. It’s important to pack lightly and smartly. Since you are spending the most time of the safari viewing wildlife from a vehicle, casual, loose fitting clothing is recommended. The cold season (June, July and August) requires some warmer clothes as temps can drop into the 40’s. You should bring at least one nice outfit for a special dinner out, however for the most part places are fine with casual clothing and traditional safari wear. Wearing layers is advisable, so you can adjust with the changing temperatures. It can be quite cold in the mornings, however the afternoon can get much warmer. A wide brimmed hat and sunblock are essential. Dark colors do attract unwanted attention from certain insects. Avoid dark blue and dark colors in general. The tsetse fly (active only during the day) is attracted to darker colors so these should be avoided when game driving tsetse areas including the woodlands of the West Serengeti, Tarangire and few parts of the North Serengeti. The plains of the South and East Serengeti, Ngorongoro Crater and the Southern areas of the Central Serengeti are free of the tsetse fly. We recommend wearing long pants and shirts when game driving an area known for concentration of tsetse flies. Lighter and more natural colors such as khaki, brown, beige, olive and green should be worn during the day. During the nights, the color of your clothing is irrelevant. From dusk to dawn, it is recommended that you protect yourself from mosquitoes by wearing pants, long sleeved shirts, socks and shoes plus insect repellant. Can you recommend a complete list of clothing to pack for my Safari? A pair of comfortable walking shoes, A pair of sandals or flip- flops, Some comfortable casual, and loose fitting clothing in khaki, brown, beige, green and olive colors made of natural fabrics such as cotton, T-shirts, Long sleeved shirts, a few pairs of shorts, comfortable long pants that are light, A warm sweater or shawl, A swim suit, Socks and Underwear (cotton), A wide brimmed hat and a bandana, Light jacket or windbreaker. If visiting during the cold season (June – Aug) bring some warmer cloths and outerwear. It’s absolutely necessary that you travel as light as possible. While some International airlines allow up to 50 kilos (100 lbs) of luggage, any internal Flights you may take within the region will restrict you to 15 kilos (33 lbs) or more rarely 20 kilos (44 lbs) total— including carry on—with exceptionally high charges for excess baggage and the distinct possibility that overweight cases will be left behind. Also room in the safari vehicles is very limited so we highly recommend that you keep your luggage to one medium/large sized soft duffle bag (approximately 13″H x 30″W x 15″D) plus your carry on (a backpack works well) for your binoculars, camera gear etc. Hard suitcases will not fit in the safari vehicles and it may be necessary to leave them behind in the city hotel while you are out in the bush. Do they speak English in Tanzania? English is widely spoken throughout Tanzania and especially in any area where there are tourists. Your safari guide will speak excellent English. Please let us know if you need a guide who speaks another language. Tanzania’s other national language is Swahili; most people speak Swahili and really appreciate when visitors make an effort to learn a few words. While trying to communicate with people please remember that English is most often the third language people learn and try to speak slowly so as to be understood. For the most part Tanzanians love communicating with foreign visitors. Can I use my credit cards in Tanzania? Yes, credit cards are accepted at some places such as lodges, hotels and larger shops. It’s probably a good idea to restrict use to these locations to be on the safe side and not to use cards indiscriminately. Sometimes vendors will add a “fee” or a percentage for using a credit card to cover the commission charged by the banks. While this may not be acceptable in Europe or America it’s a normal practice here. 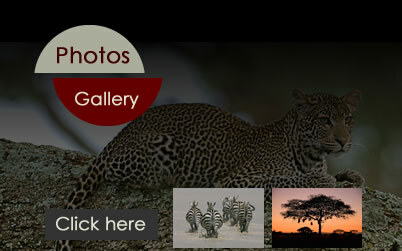 What wildlife will I see on a Tanzania Safari? 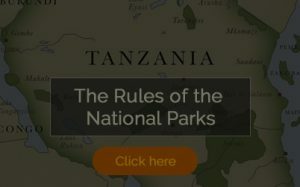 Tanzania has a number of great National Parks and Game Reserves supporting a wide variety of wildlife including Elephant, Buffalo, Lion, Leopard, Rhino, Cheetah, Wild Dog, Hippo, Zebra and Giraffe. Chimpanzees can be found on the shores of Lake Tanganyika. Tanzania has over 1000 species of bird antelopes. During the annual Wildebeest Migration, when approximately 3 million animals cross the Serengeti in Tanzania to the Masai Mara in Kenya, you can watch the Lion and Leopard in action trying to catch a meal. The three biggest lakes in Africa also border Tanzania; Lake Victoria, Lake Tanganyika and Lake Niassa/Malawi. A safari is a wonderful opportunity and generally speaking children ages five years and older enjoy the experience. If your children are Flexible and adventurous then planning a family safari will certainly create lifetime memories. It’s important to take into consideration that due to the vast distances covered, our safaris entail long stretches in the cars which normally don’t “sit well” with children if you’ll excuse the pun. When children are included in a group we’ll work with you to put on extra stops, limit extremely long days in the vehicles and book lodges that have swimming pools. Tanzanians love children and you’ll be warmly welcomed wherever you go with young ones. It’s important to know that you should NEVER leave your children unattended at a lodge or camp or in any wild area. You are ultimately responsible for the wellbeing of your children. Where is Mount Kilimanjaro located in Africa? Mount Kilimanjaro is located in Tanzania, a country in East Africa. The mountain is one of the seven summits (the highest peaks on each of the seven continents), and rises 5,895 meters or 19,340 feet above sea level. It is the tallest freestanding mountain (not part of a mountain range) in the world. Traditionally the best time to climb Kilimanjaro is during the dry season. This is from June to early November and from December to end of March. However with changing weather patterns it’s not unusual to have clear weather throughout your climb in November and April. You must have done extensive hill-walking or aerobic exercise in the run up to your Kilimanjaro Climb. If you do not currently enjoy a good level of fitness it may take many months of training to reach a suitable level of fitness to enjoy the walk. It is important to start slowly and gradually increase your fitness. Kilimanjaro is a relatively safe climb by the standard routes. However, there are always deaths on these big mountains. Kilimanjaro is no different. The most common cause of death is probably altitude related and that is from going too fast and not taking the time to acclimatize. This is why selecting the proper guide services critical. Another climb option is Mt Meru, located in Arusha National Park and rising to an elevation of 14,968 ft (4,562.13 mtrs). Its fertile slopes rise above the surrounding savanna and support a forest that hosts diverse wildlife, including nearly 400 species of birds, and also monkeys and leopards. Though the climb time is not as long it’s necessary to be quite fit to attempt this summit. Kindly contact us for more information on these climbs or for trekking options in the Ngorongoro Conservation Area.